ST. PAUL, Minn.--(BUSINESS WIRE)--Every vascular catheter used on a patient poses potential for a costly and prevalent central line-associated bloodstream infection (CLABSI). Passive disinfection caps for needleless connectors have been shown to reduce the risk of CLABSI. 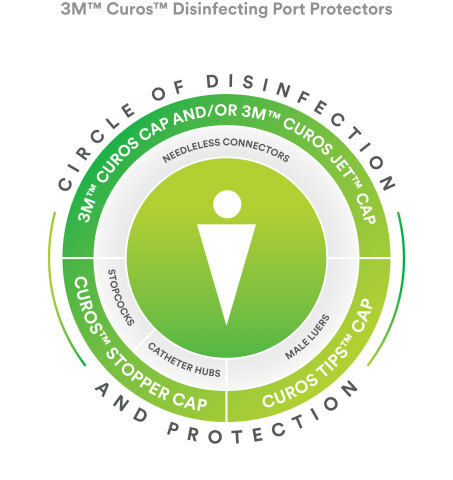 Disinfecting port protectors also eliminate human scrubbing technique variability. However, clinicians haven’t had a passive disinfection solution for stopcocks and hemodialysis catheters – until now. 3M is proud to introduce the 3M™ Curos™ Stopper Disinfecting Cap for Open Female Luers to help clinicians ensure all intraluminal vascular access points can be protected through passive disinfection. 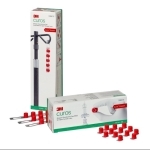 For more information about Curos stopper caps and vascular access antimicrobial protection, or to coordinate a product trial, please visit 3M.com/Curos. 3M and Curos are trademarks of 3M Company.